The Casagrande B125XP is a machine dedicated to giving the specialist contractor equipment to perform large diameter rotary and CFA piling. 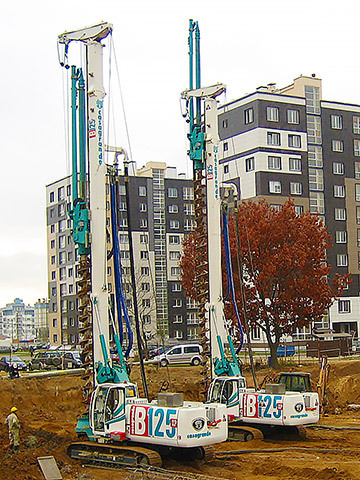 It is the result of research and innovation based on over 50 years experience and the company's success in the field of foundations and geotechnical engineering. 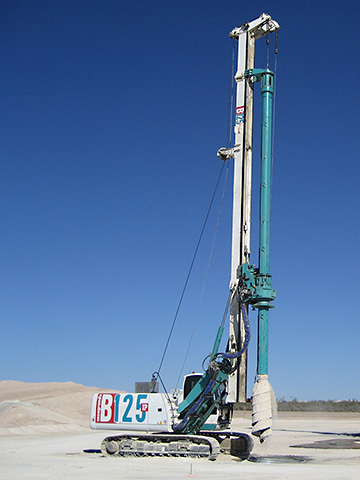 Due to the high torque (125 kNm) of the rotary head and a powerful winch, the B125XP is able to rapidly drill deep and large piles. The crowd cylinder, with a line pull of 190kN and a rotary head stroke of 3.8m will drive casing in to the ground with extreme accuracy. flows and allocates the full available power according to the requirements of the task. The result is an increase in the machine efficiency. 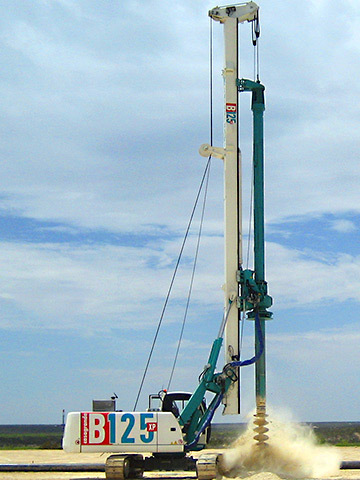 The XP hydraulic power system uses Full Load Sensing (FLS) technology. Unlike more common hydraulic management systems, the FLS system supplies only the required amount of oil requested by the functions thanks to the interaction between pumps and distributors. It allows optimal management of the power demands and reduces losses, achieving up to the 25% of fuel saving (calculated on the basis of a theoretical working cycle). Casagrande FleetMaster is the new online platform that allows you to remotely control your fleet simply by connecting with a PC, tablet or mobile phone. The operators cabin is ergonomically designed and the canopy is manufactured using sound absorbing materials for a reduction in noise. Smart oil heat exchangers are also used, meaning that fan speed is always related to oil temperature, reducing fuel consumption and the overall noise level of the cooling system. B125XP is designed to satisfy the European Union standards on safety and is manufactured to comply with the ISO 9001 requirements on quality. 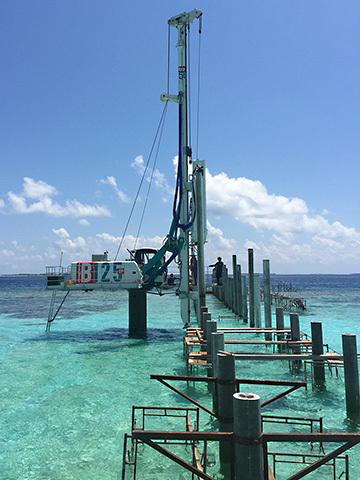 · The lifting sides become safety rails during maintenance activities on the upper structure. diagnosis of the working systems to ensure the constant monitoring of the status of sensors and components. User friendly customisation of the working parameters and remote rig assistance, diagnostics and monitoring of working parameters.